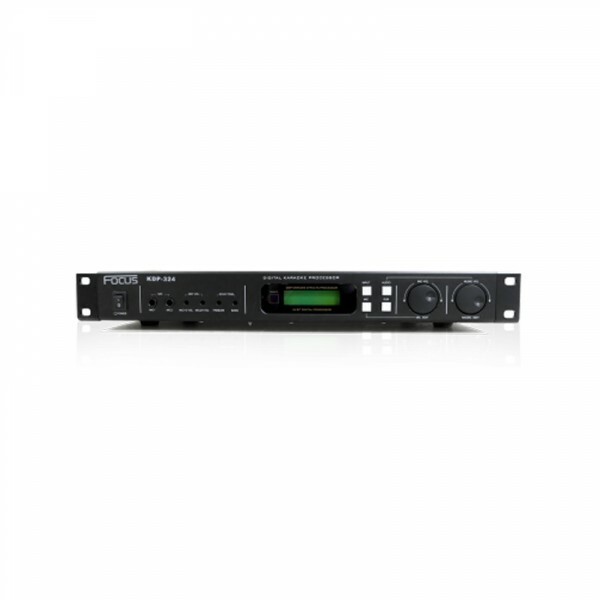 Freq Response = 35 Hz-20KHz ±1 Db, THD = < 0,5%; S/N = > 75 Db; Output Level = 4V pp/ 6 Ohm, Output Impedance = 300-600 Ohm Middle Range = Original Mic Input; Bass Output = Music Output; Low Freq Adju..
MS is small high cost-effective mixer, 12 channel low noise designed, 3 bands of channel EQ. 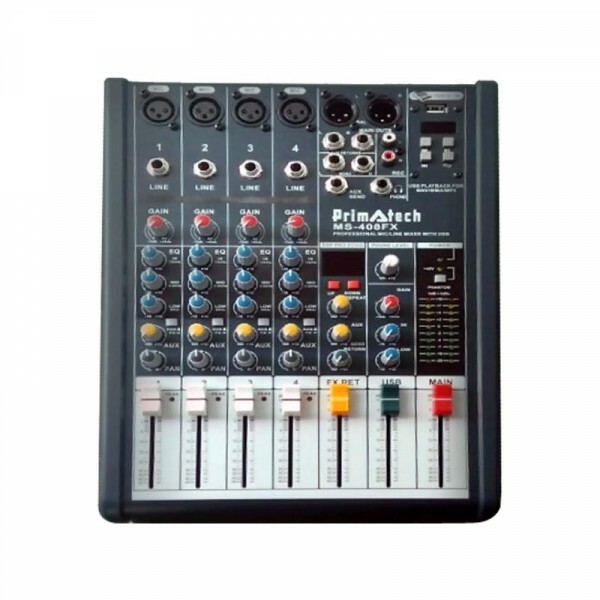 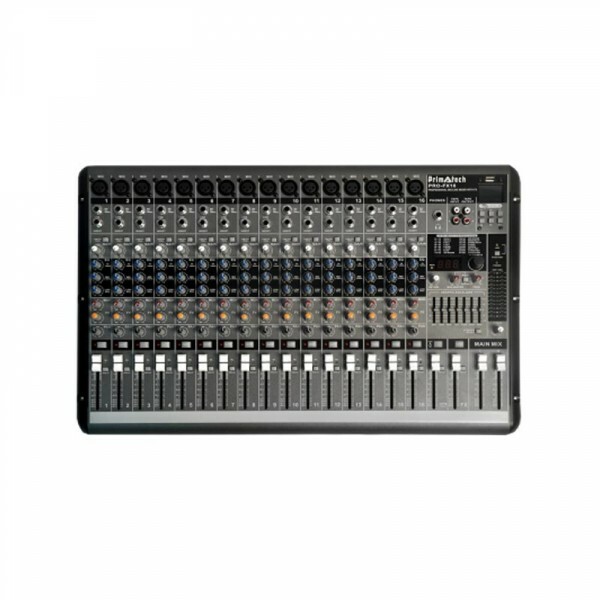 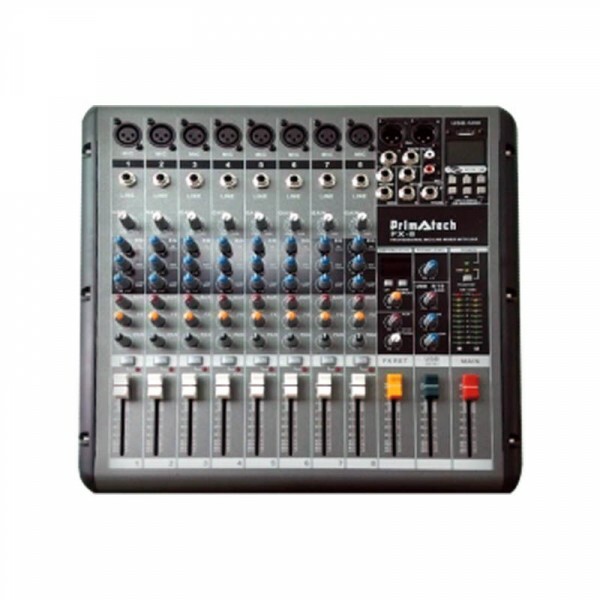 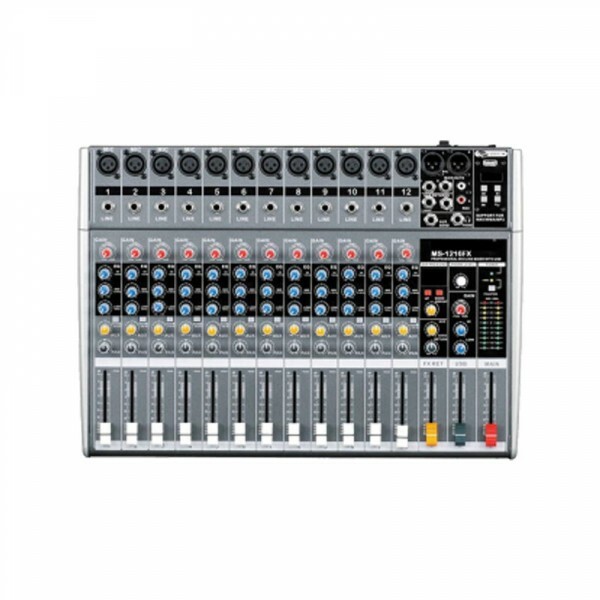 One auxiliary effect trajsform output, 48V phantom power, 16bit echo effects processor. 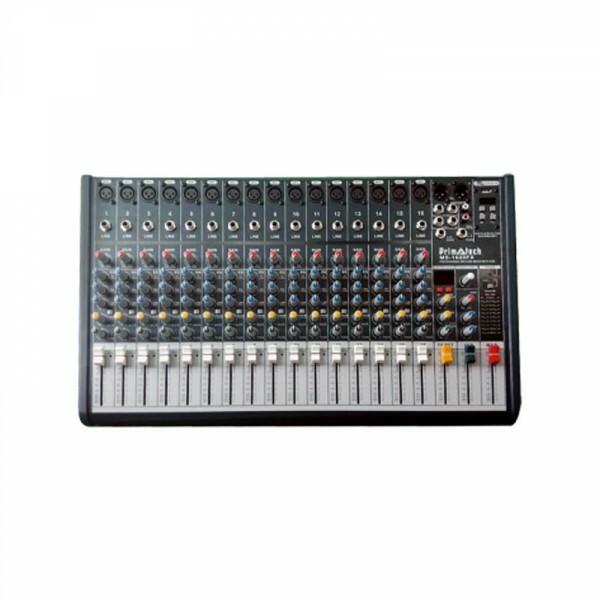 Independent USB pla..
MS is small high cost-effective mixer, 4 channel low noise designed 3 bands of channel EQ, One auxiliary effect trajsform output 48V phantom power, 16bit echo effects processor Independent USB playerM..
MS is small high cost-effective mixer, 6 channel low noise designed, 3 bands of channel EQ. 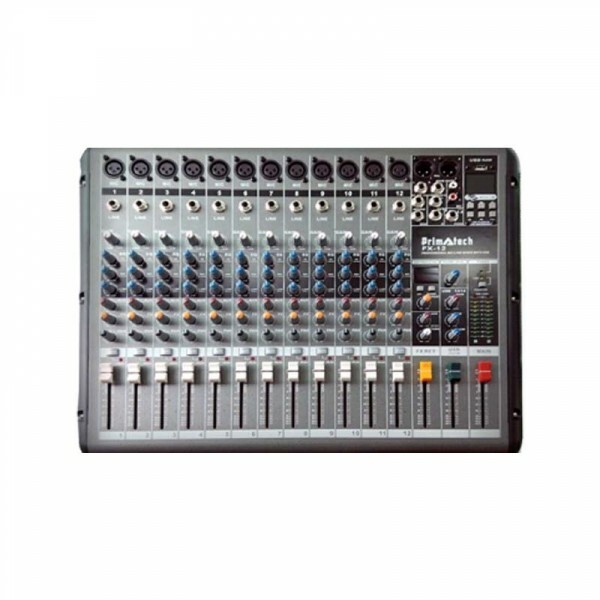 One auxiliary effect trajsform output, 48V phantom power, 16bit echo effects processor. 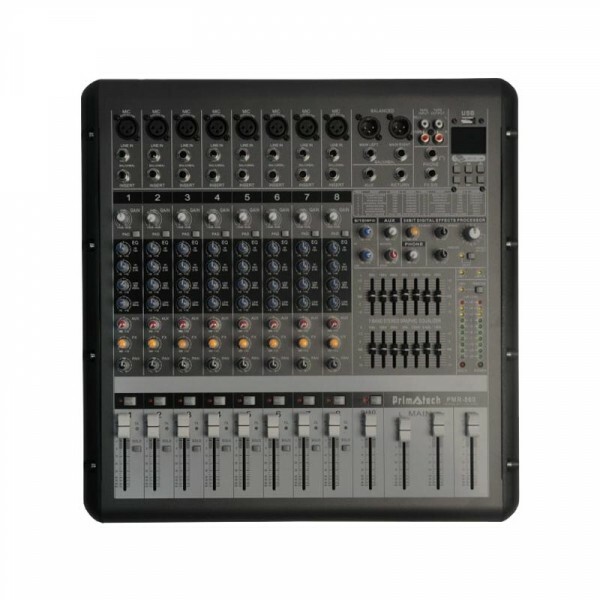 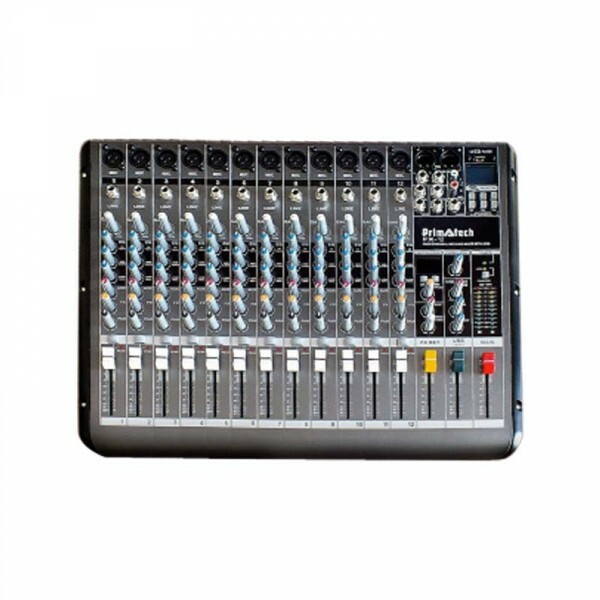 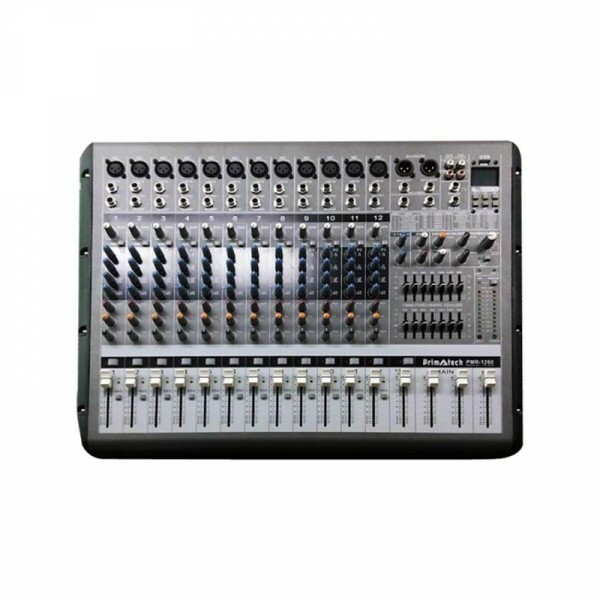 Independent USB play..
MS is small high cost-effective mixer, 8 channel low noise designed 3 bands of channel EQ, One auxiliary effect trajsform output 48V phantom power, 16bit echo effects processor, Independent USB player.. 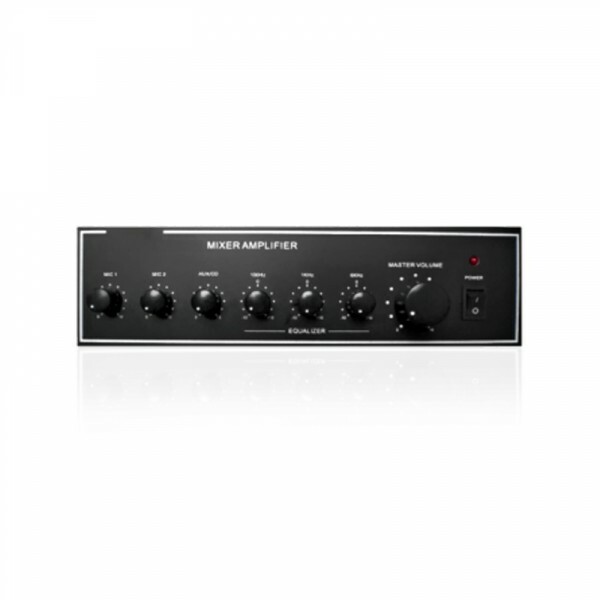 Rated power output : 60 watt, Tone Control : 150Hz, 1KHz +/- 10db Speaker output : 100 V, 70v, 4-16 ohms, Power recruitment : 220-240v AC, 50/60 Hz, Freq. 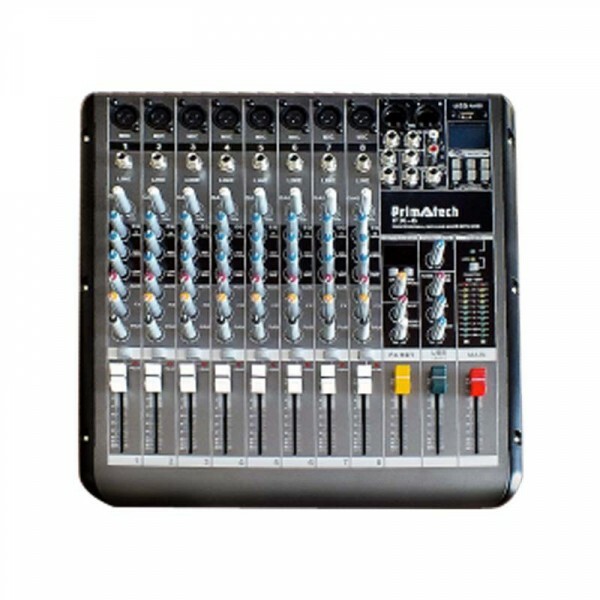 Response : 100-20.000Hz, Dimension : 83(h)x32.. 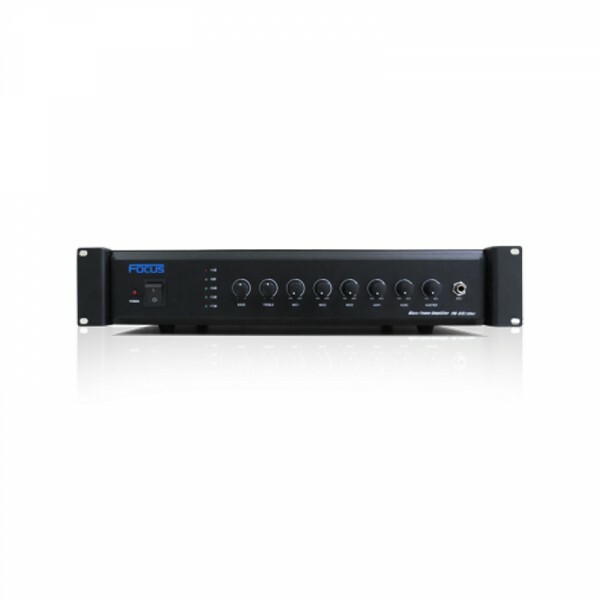 Rated power output: 130 watt, Speaker Output: 38ohm(70v) , 77ohm (100v), Low impedance 4-16ohm, Input: MIC 1,2,3 : ohm 5mV unbalanced , Phon ejack, AUX 1,2: 10k ohms 470mV unbalanced, Output: 600ohm, ..
12 Cahnnel Mono, 4 Band Channel EQ, 1x AUX, 1x return, 256/24 bit DSP, 7 Band main EQ, 1x Main Out, 48V DC Power Phantom, 650W+650W 4 ohm power output, USB Player, 8/12/16-channel ultra-low noise comp..
8 Cahnnel Mono, 4 Band Channel EQ, 1x AUX, 1x return, 256/24 bit DSP, 7 Band main EQ, 1x Main Out, 48V DC Power Phantom, 650W+650W 4 ohm power output, USB Player, 8/12/16-channel ultra-low noise compa..
12 channel ultra-low noise compact, mixer with highestpossible headroom 3-band Active EQ with sweepable midrange, 1 Aux sends,level 1 Aux returns 60mm long-wearing logarithmictaper faders, 256 DSP eff..
16 channel ultra-low noise compact, mixer with highestpossible headroom 3-band Active EQ with sweepable midrange, 1 Aux sends,level 1 Aux returns 60mm long-wearing logarithmictaper faders, 256 DSP eff..